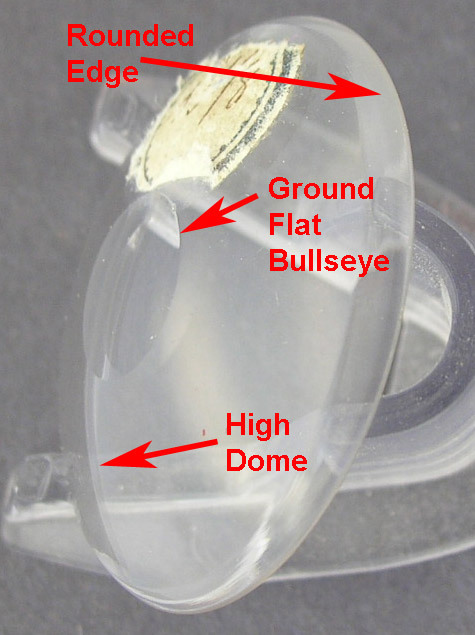 These are high dome, thick, early, hand blown and ground, bullseye crystals usually found on early verge or fusee watches. These are becoming increasingly difficult to find. Note that these crystals may have some of the 'defects' common to glassmaking in the 19th century such as small bubbles and ripples. They do not have any chips or scratches. Please provide size requirements in millimeters and consider the fact that the diameter on these may vary by a few tenths of a millimeter when measured at different points around the crystal. These crystals are $40 each. These are low dome bullseye crystals that were made in the early 1900's. 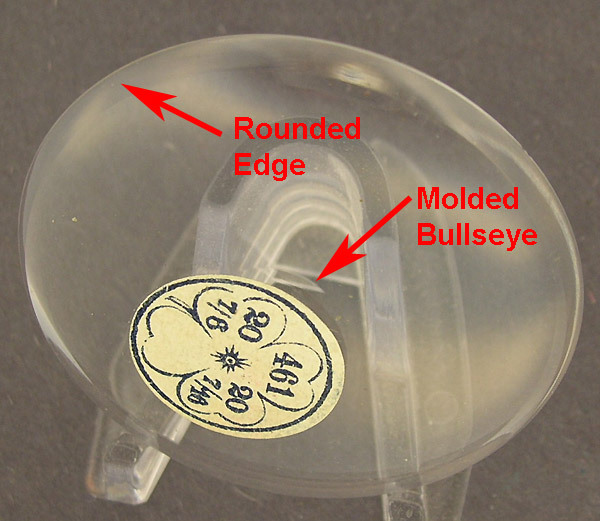 The crystals are molded and the bullseye is molded in. They have a bit of a dome to them but nothing like the 'high dome' crystals described above. These do look nice on English watches made in the late 1800's through the 1900's. Please provide size requirements in millimeters or lignes using the conversion chart below. These crystals are $15 each.